Data Shredding Services of Texas, Inc. II provides a variety of secure document shredding services to meet the needs of each of our clients! Both On-Site and Off-Site paper shredding services are provided throughout the Dallas/Ft.Worth Metropolitan area, but we shred more than just paper! Our state of the art equipment is capable of shredding hard drives, cd’s, x-rays, tapes, and much more! We specialize in information destruction of all forms! Security is paramount in every operation that we take part in. We take special care in ensuring that you and every bit of delicate data involved are protected. Included in our services are various safeguards such as the utilization of surveillance cameras and security containers. Also, our state of the art equipments are operated by our fully trained, uniformed, and radio-outfitted personnel. But that’s not all. We also give our clients a Notarized Certificate of Destruction to ensure complete security and confidentiality. Indeed, you are in safe hands with us. Destruction is our line of work, but we also help in preservation. We work closely with numerous recycling facilities in the area. From paper to office supplies such as 3-Ring Binders and staples, all shredded paraphernalia are recycled. This is our small contribution in the fight to save our environment. Let’s work hand in hand in helping nature recover. After all, for every ton of paper we recycle, 17 trees are saved from destruction. We make sure that any amount that you invest will be well spent. Our quotes are absolutely free, and so is the use of our security containers. There are also no time charges whatsoever, and we give reasonable discounts for bulk jobs. Take our word for it. You will not regret signing up for our shredding services. 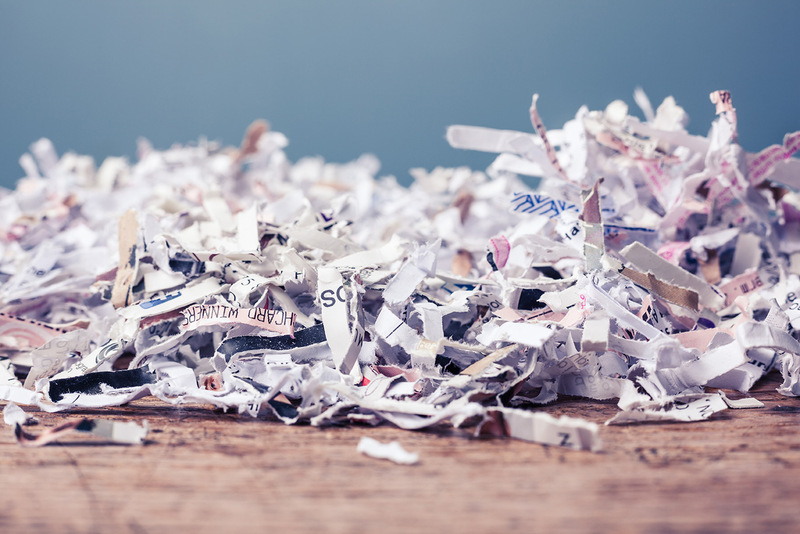 Contact us today for more information about our paper shredding services!